This dress is one of those things that didn’t quite fit when I bought it. Gapping at the bosom, as is the bane of my existence. But then I lot a bit of poundage and the buttons, they did close! It was clearly too big in other, unflattering ways. Like, I can pull the fabric out to the sides about 3 inches away from my body on either side under my armpits. 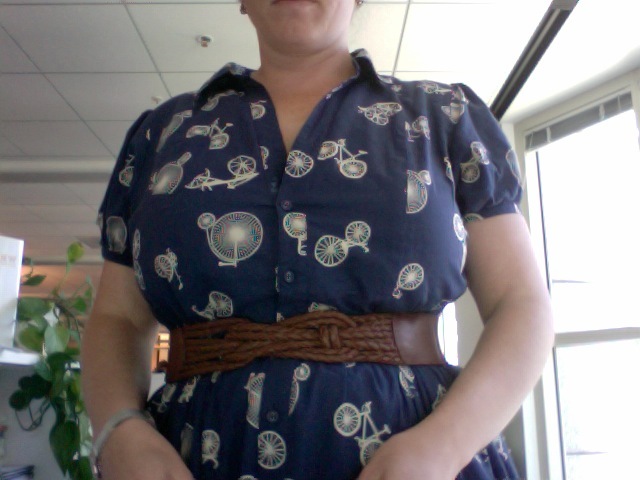 But even though it fits like a fool in her mammy’s clothes, I make do with a belt and the inherent delight in a dress with a bicycle print. Behold! Ginormous bosom! And Bicycles! 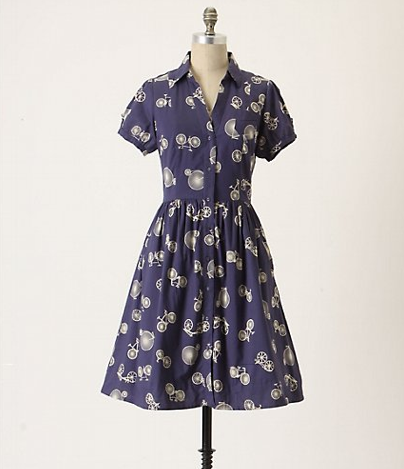 Well, it is a super cute print. Reminds me of Amsterdam. And your ginormous bosom is AWESOME.